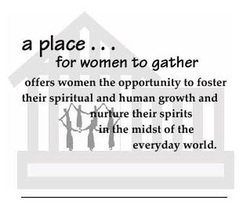 I will be offering a new women’s prompt writing workshop in north Raleigh at A Place For Women to Gather – a wonderful establishment offering a variety of soulful programs intended for personal and spiritual growth. Those who write with me know how I feel about creative expression and the spirit, and this venue will focus on deepening your voice through creative prompt writing. Start the New Year with a commitment to creativity and imagination! Hope to see you there. Join us for the fall Wake Forest women’s prompt writing workshop! The summer session was such a success – six brave and creative women came together and created four weeks of inspiration and writing magic. Surrounded by books and looms from Threads Of Grace, The Storyteller’s Book Store gave us the comfort we needed to sink into our writing. We all agreed that ending the series didn’t mean good-bye. The series will begin the first Monday in October and run four weeks. See the WF tab for details. Again, space will be limited.